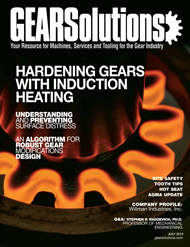 Surface distress in industrial applications is a phenomenon associated with poor lubrication and other mechanical aspects that generate high local friction and stress. 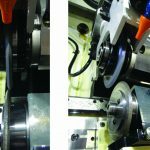 In many industrial applications that have lubricated rolling/sliding contacts such as rolling bearings, power density has steadily increased over time due to the need for greater efficiency, reduction of weight and costs (i.e., downsizing). 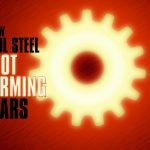 Alongside this has been an increased severity in working conditions, such as heavier loads in combination with higher temperatures, thinner oil films and/or boundary-lubrication conditions, and this can give rise to surface distress in machine components . Surface distress manifests itself initially with a change of color/dull appearance of the surface, which grows as the damage progresses. Under the microscope the affected surface areas show the presence of tiny micro spalls, micro cracks or micro pits (Figure 1). S. Way  was one of the first to study surface distress in lubricated contacts. He observed that the polishing of the contacting discs substantially increased their resistance to surface distress. Later, P.H. 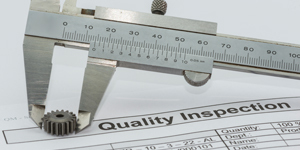 Dawson  identified the importance of good lubrication and fine roughness in preventing or delaying surface distress. 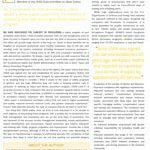 It is now recognized that surface distress is a surface damage phenomenon associated with poor lubrication conditions , thus generating high local friction and stresses at the asperity level. This phenomenon has been the subject of many experimental and numerical studies [5–7]. Other surface phenomena such as mild material removal (mild wear) [8, 9] compete with surface distress during the running-in phase and in later stages, by removing layers of damaged material, making the surface less prone to develop surface micro cracks. 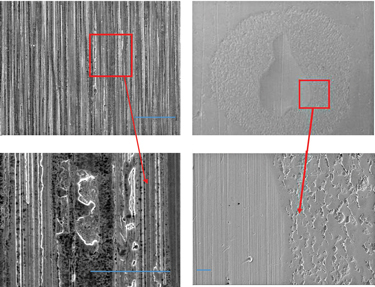 Recently, SKF has developed detailed surface distress models  based on the interaction between surface micro-crack generation and mild loss of material, in order to investigate critical parameters and predict surface damage. In the following sections mechanical aspects (lubrication, roughness, friction and mild loss of material) that are believed to play an important role in surface distress will be described, along with some recommendations to improve the conditions in the contact and reduce the risk of surface distress. Chemistry (tribochemistry) certainly has a key role to play [8, 9] by affecting material removal and/or the boundary friction coefficient during running-in and successive stages. Since surface distress is greatly influenced by the lubrication regime, notably enhanced by boundary and/or mixed-lubrication regimes, consequently “dry or boundary” friction plays a very important role. 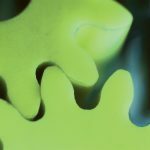 In full-film lubrication regime, the friction force is introduced by shearing the lubricating film by means of sliding. The shear stress (and thus the friction force) depends on the rheology of the lubricant, following the schematic path described in Figure 2a. However, whenever asperity tips are in contact, “dry” friction (or boundary-lubrication friction) is regarded approximately as a Coulomb type of friction, i.e., Figure 2b, which has zero value at pure rolling and a nearly constant value as soon as sliding starts. Notice that in either case, higher sliding does not necessarily mean higher friction. In a rough (boundary) or mixed-lubricated contact, the “dry” spots will not have traction forces on the surface unless there is some sliding, regardless how little, as long as it is different from zero, as indicated in Figure 2b. However, “pure rolling” conditions do not exist. Real contacts, even when running under “nominal pure rolling” conditions, always have a small amount of slip, which results in some sliding friction and, consequently, in the possibility of a risk of surface distress. In tests carried out at the SKF Engineering & Research Center, Nieuwegein, the Netherlands, it was found that nominal pure rolling conditions can also exhibit surface distress. Under equal conditions and number of cycles it has also been found that if the boundary friction coefficient is increased, surface distress is more severe. In conclusion, boundary friction is a very important factor in promoting surface micro cracks when the contact operates under boundary or mixed lubrication. Boundary friction largely depends on the type of lubricant and its additive package. The value of the boundary friction coefficient can be extracted from measured Stribeck curves from ball-on-disc tribometers. This is normally done with a fixed amount of nominal slip in the contact (2 – 5%) and by steadily increasing the lubricant entrainment speed. In a ball-disc tribometer the boundary coefficient of friction is the first point in the Stribeck curve (Figure 3). Notice that friction coefficients measured here represent average values within the contact. 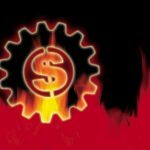 In rolling bearings, lubrication has a major role in life performance. This is why SKF life models account for the effect of the lubrication parameter, k. The importance of lubrication and roughness in surface damage is very much related to the effect of local friction forces and stress concentrations (at the asperity level). In boundary or mixed lubrication, having irregularities on the surface (roughness or indentations, Figure 4) will influence the way the dry and lubricated spots are distributed within the contact. Furthermore, discontinuities on surface traction and possible stress concentrations (Figure 5) must also be considered. High roughness (or high roughness slopes) will promote local film collapse, high contact pressures and tractions. This will enhance stress concentrations in the critical areas of traction discontinuities. From test results and theoretical modeling at SKF, surface distress appears first in areas of pressure discontinuities (high-pressure gradients) associated with increased roughness. It can easily be seen on the borders of grooves or in the summits of asperities or surface rises from indentations (Figure 4). Rather unexpectedly, it is generally the smoother of the two mating surfaces that will first start the distress process. 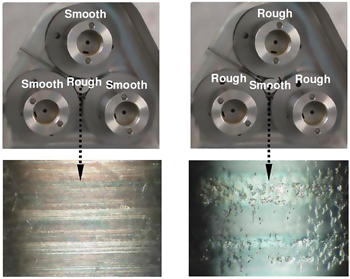 Experiments show that under boundary or mixed-lubrication conditions, transverse roughness lay (to the rolling/sliding direction) is more prone to surface distress than longitudinal lay (Figure 6); the same conclusion is described in . This is an interesting observation since under full-film elastohydrodynamic lubrication (EHL) conditions transverse roughness may produce a better film build-up but likely higher pressure ripples as well. However, under boundary or mixed lubrication the acting mechanisms are different. 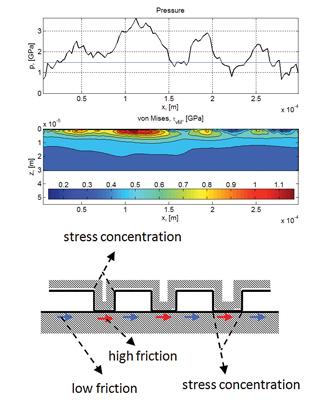 SKF researchers have found that the component of the friction force normal to the roughness lay can substantially increase the stress concentration at the “root” zone of the roughness for the rougher surface and on the micro contact edges for the smoother surface (Figure 5). This effect can enhance damage and surface distress, but its severity depends on the actual micro geometry of the roughness. There is, however, another aspect that is related to the stress history. 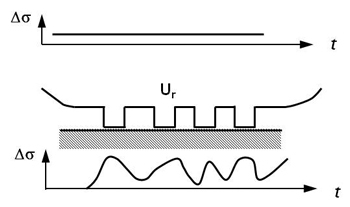 Transverse roughness will induce a higher number of micro stress cycles in the contact than longitudinal roughness (with or without the presence of lubricant). Since fatigue is sensitive to the number of stress cycles, then more damage is expected on the opposite contacting surface. Experiments have been conducted alongside numerical simulations to show this effect (Figure 6). Very similar surfaces were tested under the same conditions, changing the lay direction of the roughness only. In the model, the same roughness sample has been used at 0° and 90°. 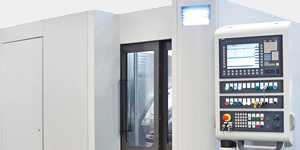 Good agreement has been found between the SKF models and the experimental results. In industrial applications, the contact always takes place between two real surfaces having a certain roughness. This is also the case in the tests carried out at SKF using a surface distress test rig (SDTR), which has a rotating rod in contact with three discs (all made of hardened bearing steel). It was observed that when the test rod was rougher than the load applying discs, surface distress did not appear in a reasonable time even under the harshest conditions (Figure 7a). However, when the discs were rougher than the rod (Figure 7b); then surface distress easily appeared on the rod surface. This is also a common observation elsewhere . The likely explanation for this is the load history from the fatigue micro cycles imposed by the roughness. 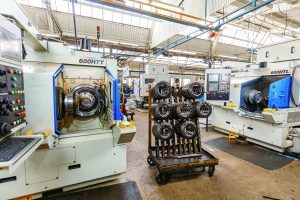 Since the conditions in the contact are, in general, more towards boundary or mixed lubrication, then the stress history is imposed by the dominant rougher surface upon the smoother one, as long as there is some sliding. Figure 8 schematically represents this situation (i.e., rough and smooth contacting surfaces in relative sliding motion). It can be observed that the smooth surface “sees” a fluctuation in pressures (load micro cycles) while all points on the rough surface always “feel” the same stresses (which are higher in the contact areas and lower in the non-contact areas). This example shows that the rough surface is dominant when imposing the load variation upon the smooth one. In real contacts, both surfaces will be rough and in movement (with some sliding), but if they have different roughness, the rougher surface will prevail over the smoother one when it comes to impose the load micro cycles. Therefore, the smoother surface will be more prone to surface distress in the presence of some sliding, provided that the mechanical properties of both surfaces are the same. However, in full-film conditions with the presence of hydrodynamic pressures from the lubrication, this effect in the load history can be very different. With sliding, hydro-dynamic pressure waves propagate at different speeds. Figure 9 shows simulation results for a rough-on-smooth surface contact. It describes the distressed area as a function of the maximum Hertzian contact pressure. It can be seen that surface distress progresses much faster on the smoother surface as well as that the risk increases for both surfaces with load. Observations from tests run on the SDTR show that if the lubricant viscosity is too low (e.g., 1 cSt) surface distress does not always appear, but rather mild material removal (mild wear) on the surface can take place. 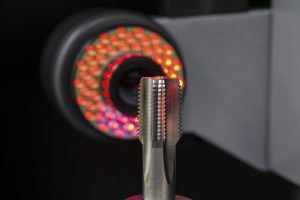 Therefore, it is believed that with diminishing the lubrication quality, represented by either the parameter k, or the lambda ratio Λ (Λ = h/Rq) for more general lubricated contacts, the material removal becomes important. Surface distress and mild wear compete with each other [8, 9], both during the running-in and in the steady state phase. Therefore, the modeling of surface distress is a complex task, because several phenomena interact. It is believed that in some cases the mild wear at the surface may reduce or inhibit the presence of surface distress by modifying the surface topography or by removing layers of damaged material, thus making the surface less prone to surface distress [8, 9]. 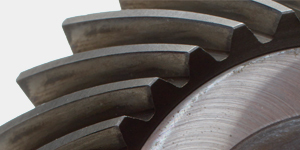 Mild material removal can also interact with the lubrication conditions in the contact. 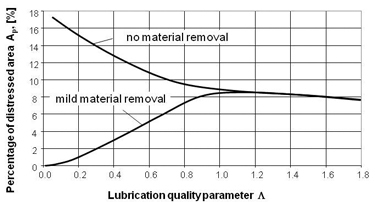 Figure 10 depicts an example of the lubrication effect, predicted by SKF modeling: the percentage of the distressed area versus the lubrication quality parameter (Λ) for two cases – with and without mild wear. As can be seen, in the case of no removal of material the surface distress gradually decreases with increasing Λ, as the surface becomes more protected by thicker lubricant film. In the case of combined fatigue and mild material removal, the behavior is more complex. Thus at very low values of Λ the surface distress is entirely suppressed by the removal of material at the surface. However, the counteractive effect of the material removal quickly disappears with increasing Λ, which causes a temporary increase of surface distress and reaches its maximum at Λ≈ 1.1. For this example, beyond this point the influence of mild wear becomes negligible and the two curves merge. This is an important topic since the effect of sliding on surface distress in rolling bearings has recently attracted renewed interest. Many studies argue that increasing sliding would increase surface distress, based on crack propagation concepts. However, to propagate a crack it first needs to be generated. 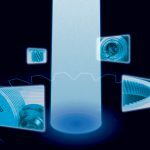 Through SKF modeling capabilities and carefully conducted experiments in the laboratory, it is shown that increasing sliding does not necessarily mean increasing surface distress; in fact, quite the opposite occurs. Figure 10 shows the effect of sliding in the SKF model (curve) when mild wear is considered. 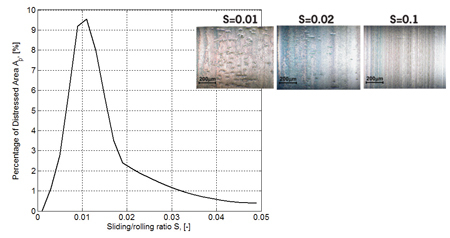 Figure 11 also shows the roller surface photographs from the experimental results with increasing sliding, S=0.01, S=0.02 and S=0.1, respectively (i.e., S = sliding speed/entrainment speed), clearly showing that surface distress damage is maximum at low sliding values (S≈0.01). The sliding value typically present in any rolling bearing type. Therefore, when it comes to surface distress resistance in relation to sliding, there is no performance differentiation between, say, straight and curved roller bearings or even ball bearings. There are two explanations for this mechanism, based on crack generation concepts. Friction: It does not necessarily increase with sliding, in both cases lubricated and dry (=> surface friction). 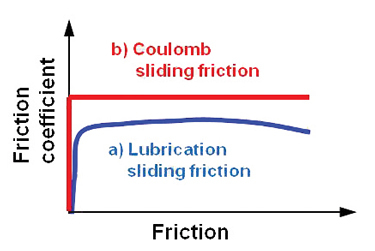 In dry contact (boundary lubrication) friction follows a Coulomb law; therefore only a tiny amount of sliding is necessary to activate this mechanism and almost reach its maximum value. If sliding still increases, then the friction force on the surface does not increase (after the compliance of the surface has been overcome). In lubricated contacts, friction follows the rheological law of the lubricant; in EHL conditions the behavior of the lubricant is non-Newtonian and close to the limiting shear stress conditions. Therefore, increasing sliding does not substantially increase friction on the surface. Mild wear: It increases with sliding, removing the damaged layers of material from the surface, and this delays the fatigue damage. There are number of conclusions related to surface distress. Firstly, the quality of lubrication (and roughness) is extremely important with respect to the generation (and control) of surface distress. Mixed and boundary lubrication produce spots of basically “dry” contact. This introduces a local increase in the surface tractions, stress concentrations (wet areas have lower friction than dry areas) and micro stress cycles, which may facilitate fatigue. 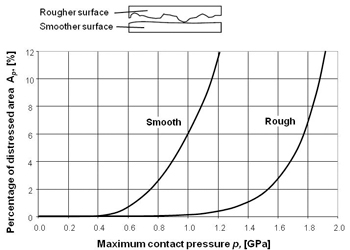 Surface friction has a major role in the surface distress generation. Even with “seemingly ideal” pure rolling conditions, surface distress may be generated since some sliding is always present in real applications. Due to the importance of surface friction in the generation of surface distress, the presence of some sliding is necessary for the development of surface traction and surface damage. However, the increase of sliding to more than 1 or 2% (typical of any rolling bearing type) does not increase the surface distress risk, as friction does not increase and mild wear helps to prevent surface fatigue. 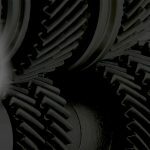 Surface stress risers and the stress history (microcycles) under mixed or boundary-lubrication conditions are likely to be the most important factors responsible for different performance of roughness against surface distress. However, when a full separating lubrication film exists, the effect of roughness may be disregarded. In the tests, the “contact” between a rougher and a smoother surface has shown that the latter is always more prone to surface distress. Finally, mild wear in general may inhibit or retard the presence of micro cracks by reducing the high asperities during running-in and by removing the fatigued layers of material close to the surface. 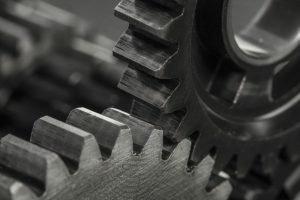 However, substantial or localized wear can lead to the changes in the macro geometry of components that in turn can negatively influence life. • Ensure good lubrication (full-film conditions). 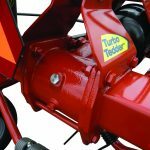 Depending on the application, these would include higher lubricant viscosity, higher running speed, and lower temperature. • Reduce boundary friction (lubricant, thickener, low-friction coatings, etc.). • Reduce stress raisers (contamination, debris, surface marks from mounting, etc.). Use of optimized topography. • Reduce dynamic movements under load (e.g., by preload, or minimizing clearances). • Ensure equal levels of roughness in the different contacting elements (e.g., by running-in). • In certain cases some controlled mild surface removal of material (additive-lubricant interaction) can be justified to reduce the surface distress level. • Use SKF Explorer bearings that have a surface topography balance to avoid surface distress risk. 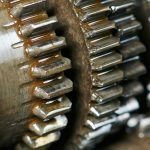 Understanding the underlying causes of surface distress in rolling surfaces such as bearings could go a long way toward developing measures to prevent the events that then lead to surface damage and, potentially, bearing failure. 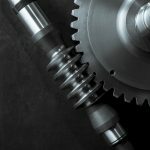 Through tests and modelling techniques developed at SKF, engineers have gained a greater insight into the conditions, mostly related to lubrication, that promote surface distress and suggest some practical ways of mitigating it. 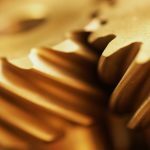 Understanding the underlying causes of surface distress in rolling surfaces such as bearings could go a long way toward developing measures to prevent the events that then lead to surface damage and, potentially, bearing failure. 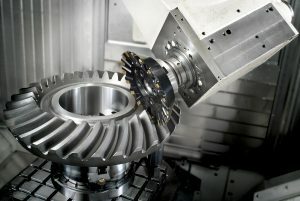 Through tests and modeling techniques developed at SKF, engineers have gained a greater insight into the conditions, mostly related to lubrication, that promote surface distress and suggest some practical ways of mitigating it. ISO Standard 15243, “Rolling Bearings – Damage and Failures – Terms, Characteristics and Causes,” 2004. Way, S., “Pitting due to Rolling Contact,” J. of Appl. Mech., vol. 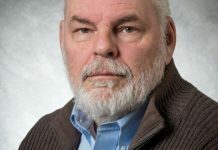 57, pp. A49-A58, 1935. 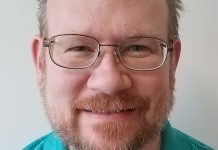  Dawson, P.H., “Effect of Metallic Contact on the Pitting of Lubricated Rolling Surfaces,” J. Mech. Eng. Sc., vol. 4(1), pp. 16-21, 1962. Olver, A.V., “The Mechanism of Rolling Contact Fatigue – an Update,” Proc. Instn. Mech. Engrs., Part J, J. of Eng. Trib., Vol. 219, pp. 313-330, 2005. Oila, A., Bull, S.J., “Assessment of the Factors Influencing Micropitting in Rolling/Sliding Contacts,” Wear, Vol. 258, pp. 1510-1524, 2005. Brandão, J.A., Seabra, J.H.O., Castro, J. “Surface Initiated Tooth Flank Damage Part I: Numerical Model,” Wear, Vol. 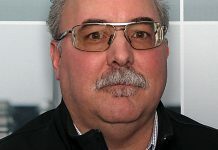 268, pp. 1-12, 2010. Brandão, J.A., Seabra, J.H.O., Castro, J. “Surface Initiated Tooth Flank Damage Part II: Prediction of Micropitting Initiation and Mass Loss,” Wear, Vol. 268, pp. 13-22, 2010. Lainé, E., Olver, A.V., “The effect of Anti-wear additives on fatigue damage,” Extended abstract, 62nd STLE Annual Meeting, 2007. Lainé, E., Olver, A.V., Beveridge, T.A., “Effect of lubricants on micropitting and wear,” Tribology International, 41, pp. 1049-1055, 2008. Morales-Espejel, G.E., Brizmer, V., “Micropitting Modelling in Rolling-Sliding Contacts: Application to Rolling Bearings,” Tribology Transactions, in press. Senior scientist, SKF Engineering and Research Center, Nieuwegein, The Netherlands. For more information, call SKF at +31 (0) 30 607 56 08 or go to www.skf.com. 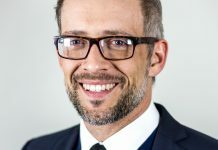 Program Manager, SKF Technology Center Wind, Schweinfurt, Germany. 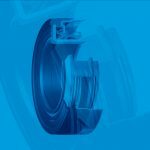 For more information, call SKF at +31 (0) 30 607 56 08 or go to www.skf.com. Researcher, SKF Engineering and Research Center, Nieuwegein, the Netherlands. 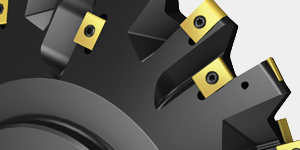 For more information, call SKF at +31 (0) 30 607 56 08 or go to www.skf.com.